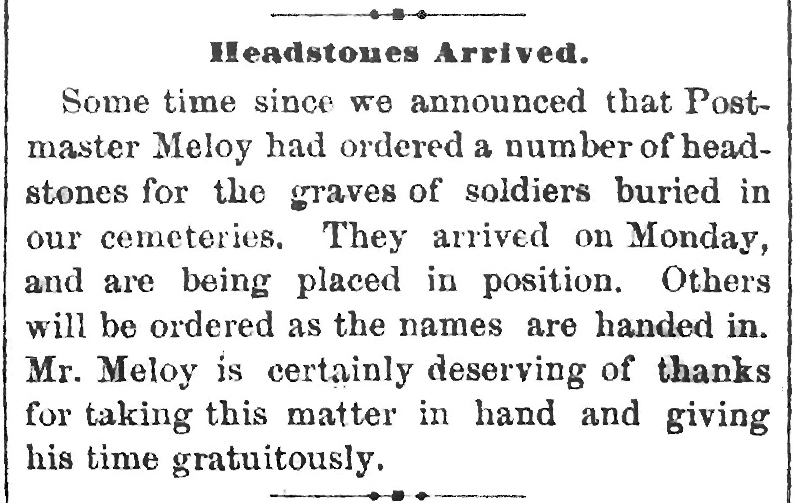 “Headstones Arrived,” Carlisle (PA) Herald, May 25, 1882, p. 3: 2. 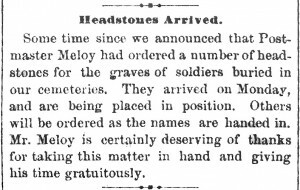 Some time since we announced that Postmaster Meloy had ordered a number of headstones for the graves of soldiers buried in our cemeteries. They arrived on Monday, and are being placed in position. Others will be ordered as the names are handed in. Mr. [Moloy?] 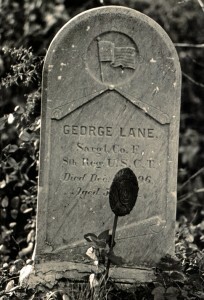 is certainly deserving of thanks for taking this matter in hand and giving his time gratuitously.